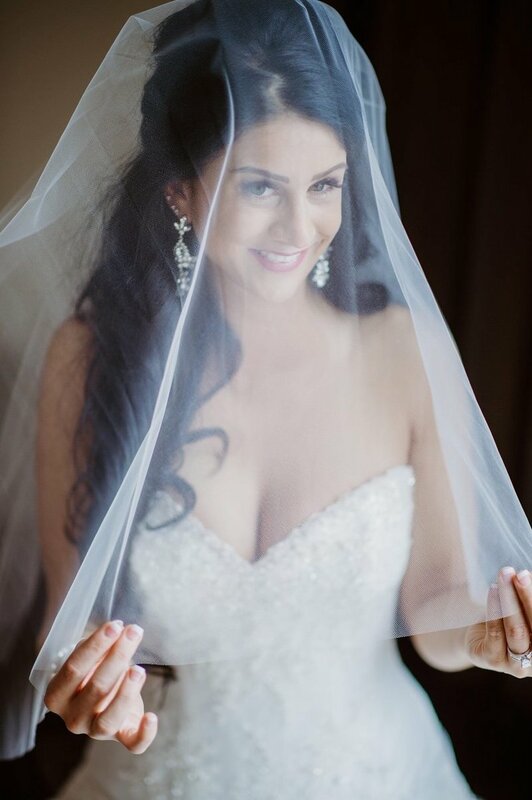 Salon Boutique’s bridal team is committed to making all of your preparations for your bridal look and your bridesmaids flawless... Down to the littlest details to ensure you have everything on your BIG day! 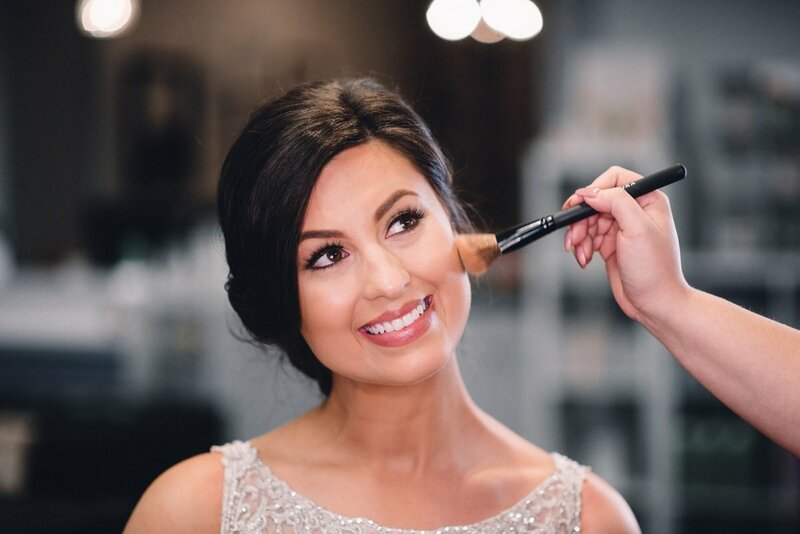 From the day you got engaged, to the day you say I do, our stylist and makeup artists are here so you can enjoy your day stress free. YES, this is really happening... and If you’re wondering ... We not only offer in-salon services but also offer on location as well! We are more than happy to travel to you to make your day even easier. * strip lash extensions are included with all makeup applications. What should you bring to your trial? Will the stylist who does your trial be the stylist who does your wedding day? If your happy at the end of trial, what is the process for booking? Can you add services to your contract once it is signed? Can I pay for the just a trial? All trial runs take place at our Salon Company and can take up to two hours, to ensure your wants and needs are met. Hair only or makeup only trials take about one hour. Bring everything you would like to have in your hair for the day of the wedding. We mean everything! Bring your veil, all of your hair pieces and anything extra! Especially, if you plan to add hair extensions added into your look. Bring images of hair and makeup ideas you love. They are a useful for our stylists to create your Perfect wedding day look. If you use a special lip color or cosmetic product, we encourage you to bring it along as well. What a great question!!! In most instances, the stylist who completes your trial will also be the stylist on the day of your wedding. However, in case of emergencies you may receive a different stylist. We take lots of photos and careful notes for our records of your hair and makeup so the stylist can replicate the look completed during your trial in the case we need them. Keep in the mind that we only replace your stylist under extreme circumstances. If you'RE happy at the end of trial, what is the process for booking? To secure your date and stylists we require 50% non-refundable deposit for your services and signed contract. If your wedding is 30 days or less away from the day of your trial, payment in full is required. You sure Can! Maybe you need to add an extra style or makeup for an unexpected guest, or a bridesmaid changed her mind. As long as we can accommodate extra services, you can have it! However, Deletions of services once the trial has taken place and a contract is signed are not permitted. There are also no refunds given for unused services. You can replace a person’s service with another if necessary as long as you let us know before the wedding day. Brides book our services very far in advance—sometimes a year out. That means we book our stylists for your wedding ONLY and they are not able to book other guests during your time and for your date. They are dedicated to You and your party and take no other weddings except for yours. 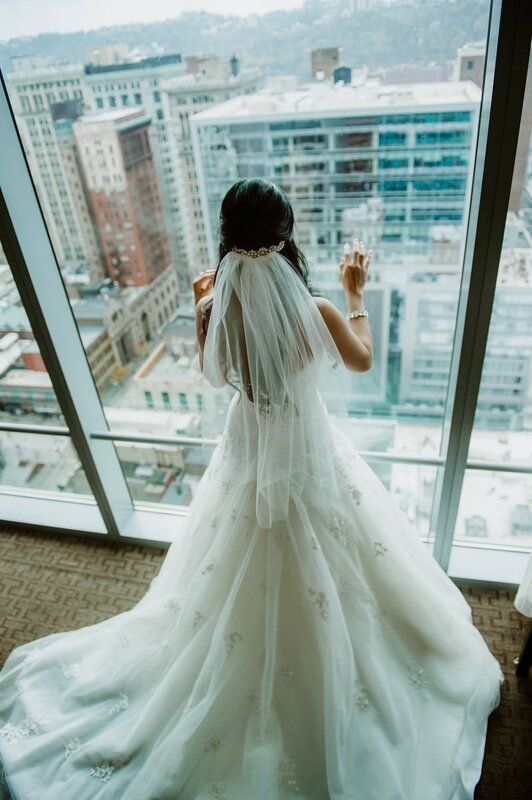 Each stylist is assured a certain amount of services for every wedding and that is why deleting services last minute is not possible for a refund. Absolutely! However, your date and stylists are not secured until a contract has been signed and the deposit has been paid. "I have trusted Lisa to do my hair for every formal event from middle school dances to prom. When it came to my wedding day I would not trust anyone else! Lisa and her team traveled to the Fairmont to do hair and makeup for my girls and I on my wedding day. Not only are they extremely talented, professional, and efficient, they were a lot of fun! I thoroughly enjoyed the experience and loved my hair. All of the bridesmaids looked beautiful and were very happy with their hair and makeup. Lisa is extremely patient and has great ideas if you are not quite sure what you want. I would highly recommend this salon for your wedding or any special occasion!" We can't wait to hear from you and help secure your date.